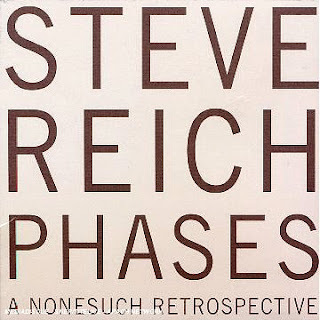 If there are gaps in the Steve Reich section of your CD collection you can fill them very cheaply at amazon.co.uk where Nonesuch's five CD Reich retrospective is currently available for the silly price of £14.58 including UK delivery. Music for 18 Musicians, Music For Mallet Instruments, Voices, & Organ and Drumming are just some of the works in the collection which gives an excellent overview of the composer's career to date. More on Nonesuch here and here. But is recorded classical music too cheap?